Actor Leonardo DiCaprio receives the Most Manticipated Movie Awards onstage during Spike TV's 4th Annual "Guys Choice Awards" held at Sony Studios on June 5, 2010 in Los Angeles, California. "Guys Choice" premieres June 20, 2010 at 10PM ET/PT on Spike. A little gel can go a long way boys! 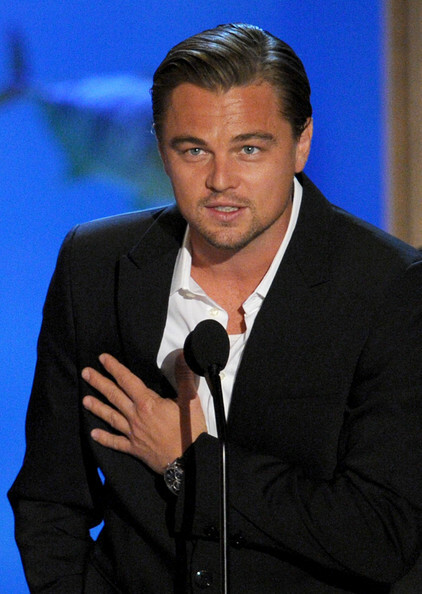 Leonardo looked polished with a neatly styled, side-parted hairstyle.